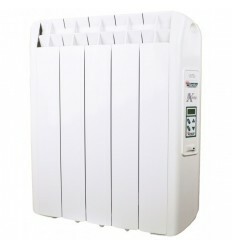 Heater with white epoxy finish, weather and corrosion proof. FARHOIL, fluid with a resistance, -40ºC to 330ºC range. Function Double side end panels, ABS fireproof. The ECO Green model is the latest product in the FARHO range. This heater combines high technology performance with easy controllability by means of three buttons, in programming mode the desired temperature can be set up, in up to six independent operating periods for each day of the week. It delivers heat on demand, The most important characteristic of this product is its ﬂexibility when heating a house, office, property. You will be able to have the heat you want, when you want and where you want. Also comes with boost facility for up to one, two or three hours, key lock and frost stat. 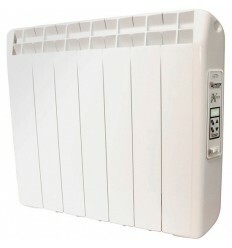 Also has the same FARHOIL which has been specially developed to obtain maximum performance from FARHO heaters. The ECO Green range can help reduce overall costs in residential and commercial applications. FARHO© respects and protects the environment while considerably increasing quality of life. 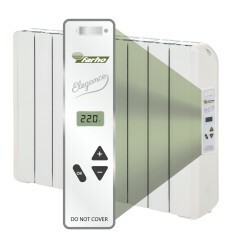 Farho heaters are non polluting, they do not change or dry the air in the room, do not produce gases or smoke, noise or vibrations and do not burn on contact. Farho heaters are environmentally friendly and safe.